KILLINGTON — Ian Clarke and Turner Ramsay, members of the Killington Mountain School cycling team, recently traveled to Connecticut to compete in the 2014 New England Road Championships. 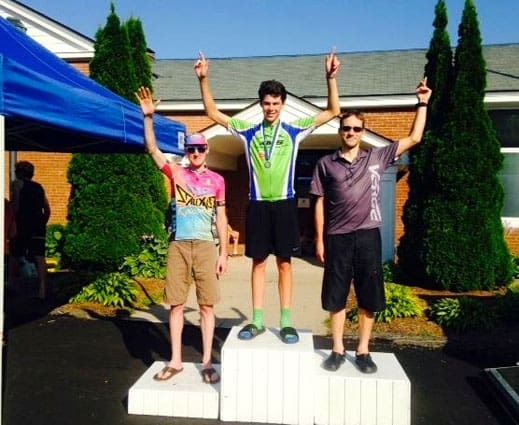 To top it off, KMS Cycling Alum Brendan Rhim, got away from the PRO 1/2 field to take the win! Look for KMS riders at the Green Mountain Stage Race over Labor Day weekend. The course includes the Middlebury Gap and the Appalachian Gap for a challenging 64-mile ride with 5,560 feet elevation gain.